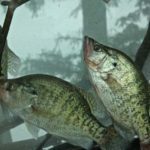 By the middle of May or the first of June in many places, crappie fishermen usually vanish, because they don’t know where to find the crappie or how to catch them. 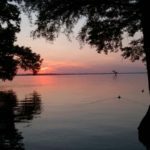 But that’s not true on Reelfoot Lake. 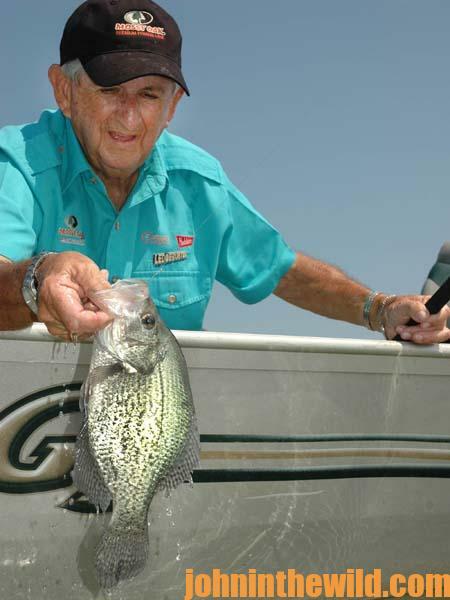 Crappie are spawning even in May on Reelfoot, and anglers catch most of the crappie by trolling (spider-rigging). According to Blakely, “By spider-rigging, we can find underwater logs to fish that we don’t know about as we fish logs that we do know their locations. When one of our trolling poles hits a log, we lower our front anchor and back anchor and fish by that underwater log. 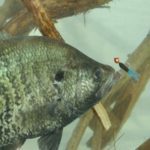 We’ve found that if the crappie are bedding beside those logs, we can jack these crappie out from under the logs without spooking ‘em, if we’ll use the long B’n’M poles (www.bnmpoles.com). 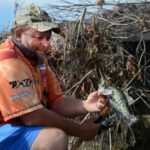 The guides at Blue Bank Resort pitch jigs for crappie around trees throughout the entire summer and the fall, using a long B’n’M pole, 6-pound-test line and a spinning reel to let out as much line as they need. 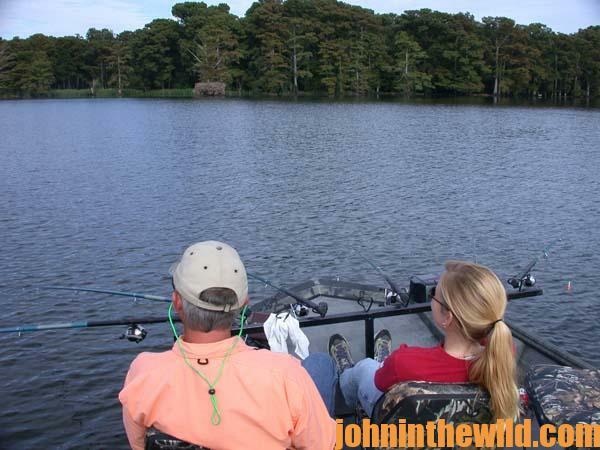 They use 1/16-ounce jigs, drop the jigs around the cypress trees standing in the water and then use trolling motors to swim the jigs all the way around the trees. 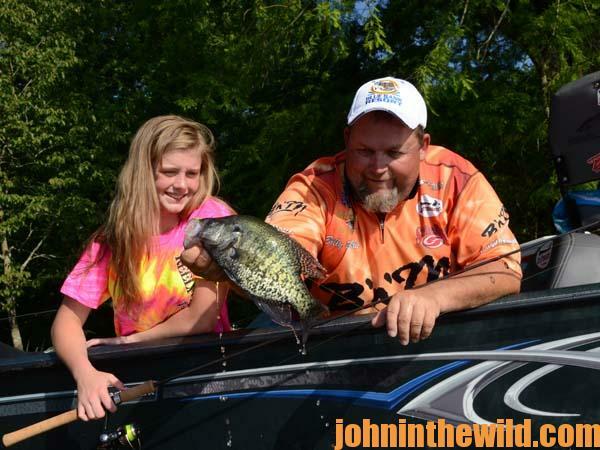 Blue Bank guides recommend you look for the tree with the biggest trunk in the water, since they provide more shade for the crappie to hide in and a bigger root system. 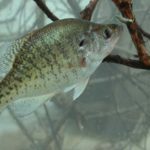 These trees also may produce more bugs and more minnows than smaller trees. 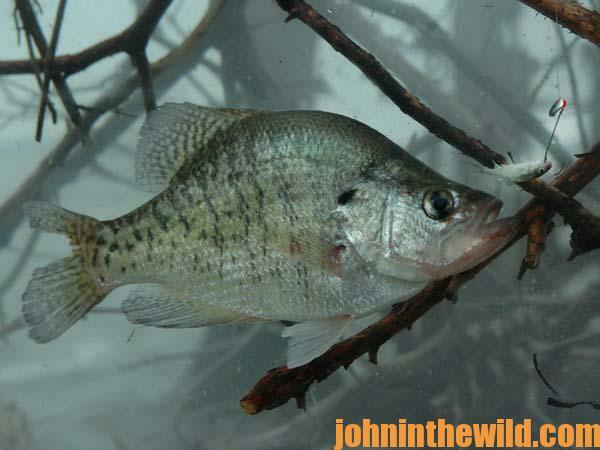 Therefore, the bigger-bottomed trees yield more crappie in the summer.